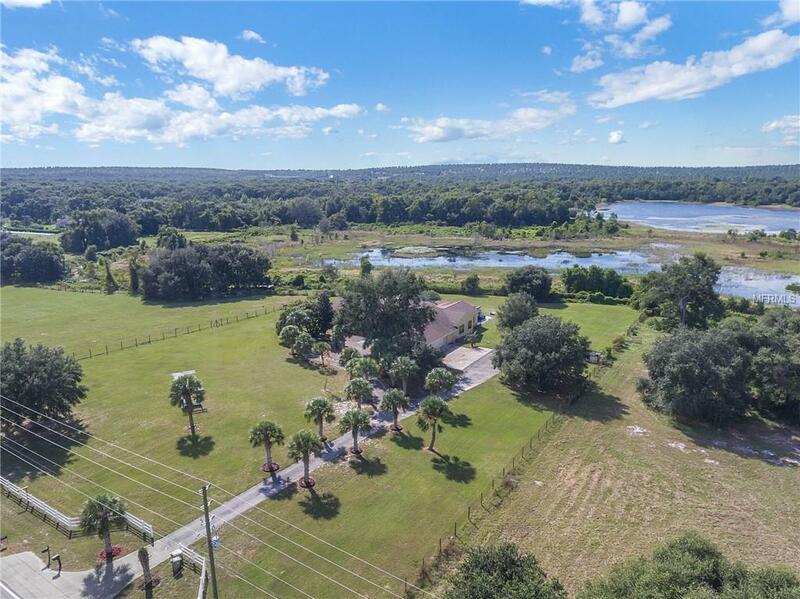 When peace and privacy are the order -you can have your own estate style compound on 10 acres and minute from the Turnpike extension for an easy drive to downtown Orlando and the theme parks. 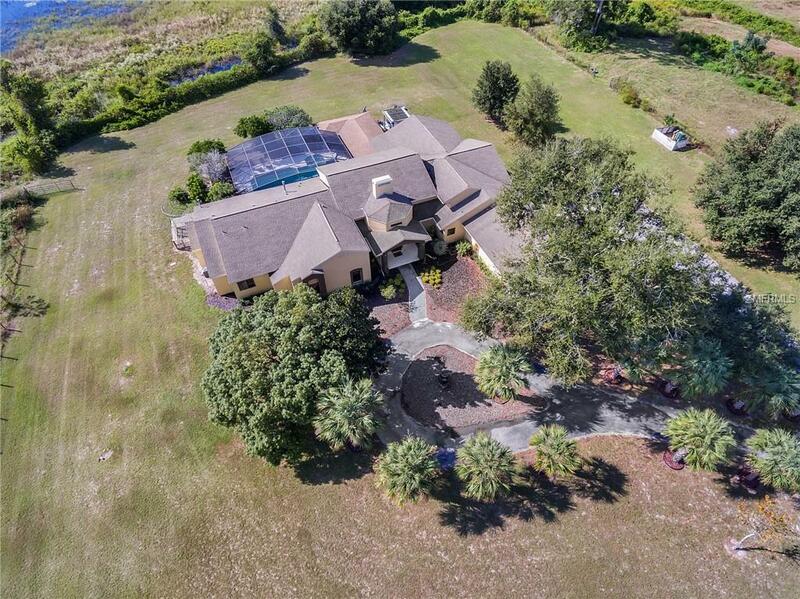 This fully fenced 5 bedroom 4 bath pool home sits on 10 acres of property. 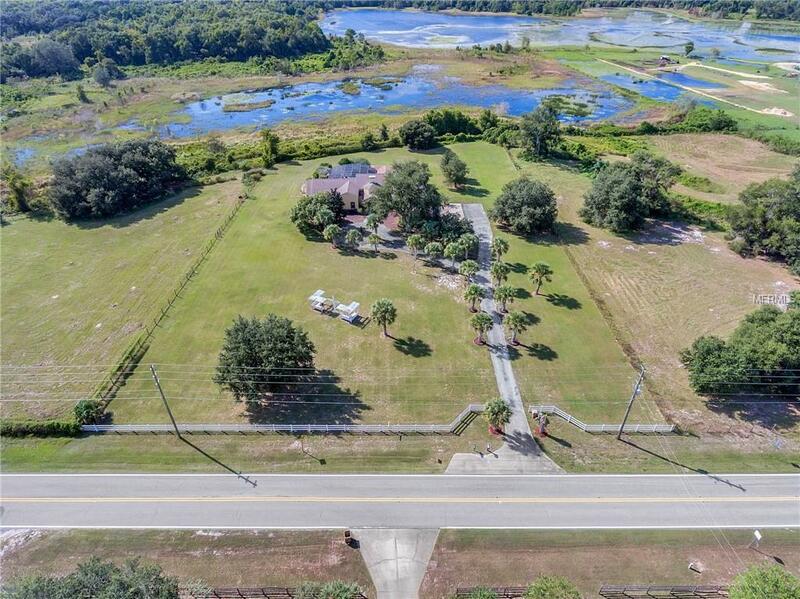 The lot features over 6 Acres of high/dry property and over 3 acres of wetlands off of Lake Merritt behind (see boundary survey behind) The true centerpiece of this home is the amazing great room. Right as you pass the entry foyer, you notice the charming brick fireplace and soaring vaulted ceilings. The large open kitchen features lots of cabinet space, 2 sep fridges, dishwasher, compactor, and a separate cooktop area with a breakfast bar area. This open floor plan alone makes entertaining a breeze but step outside! There is another 1,000sqft of covered deck space off of the pool area. 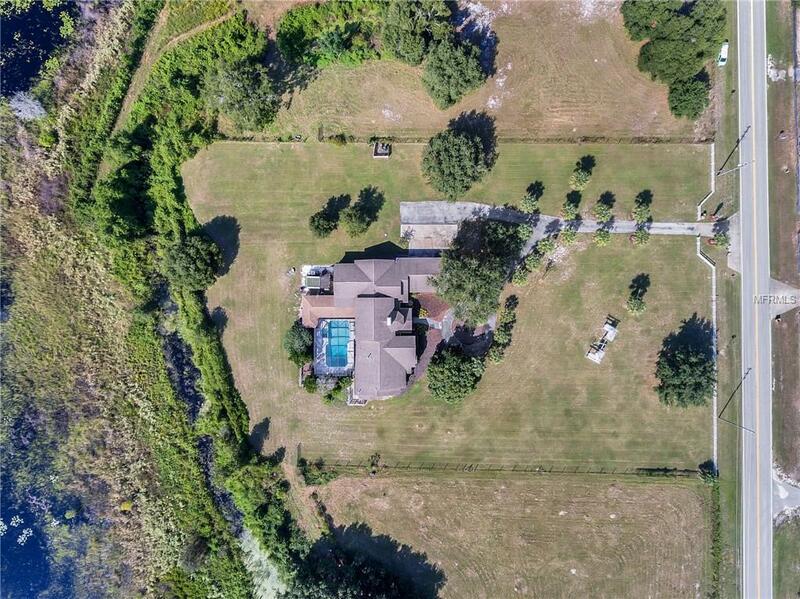 Imagine entertaining friends and family next to this pool with these surroundings! Its truly something special. The master bedroom features vaulted ceilings and sep his and hers closets. The master bath features double vanities and separate tub and walk in shower. Bedroom 2 shows like a 2nd master bedroom complete with walk in closet and an en suite bath. Bedrooms 3, 4, and 5 are all spacious as well with large closets. The seller is offering 13+ Acres directly south of this property under MLS#O5754450 for $209,900 as well!